Key ingredients: Flour, baking powder, sugar, butter, etc. 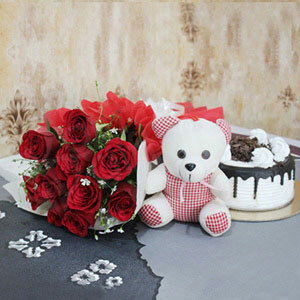 The availability of green leaves and fillers in this flower arrangement depends on their seasonal and local parameters. The cake box contains cake, knife, and candles. The rose petals and the oils extracted from the flower were added by rich and popular people while having baths in the Middle Ages. 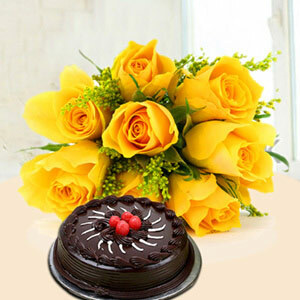 Certainly a stunning surprise to delight the hearts of your loved ones this birthday or anniversary! 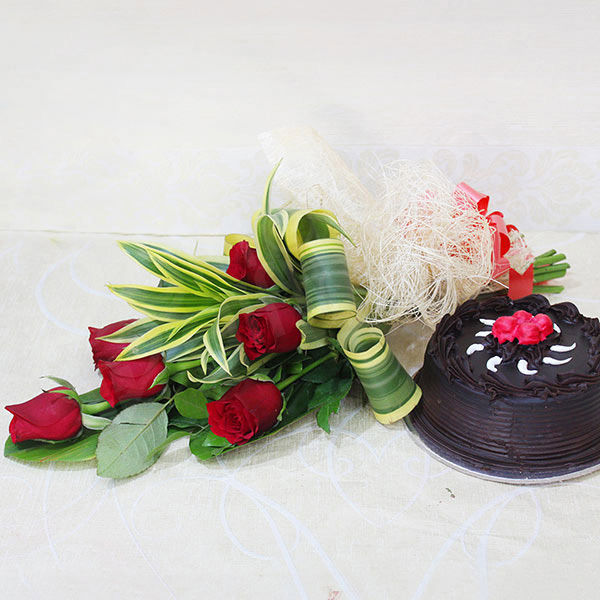 This attractive gift combo boasts of a beautiful red rose bouquet wrapped in an exquisite jute wrapping and a scrumptious rich chocolate cake that will make your relationship with them grow deeper. 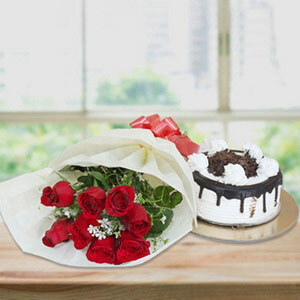 Press the “Buy Now” button to get this gift at your dear one’s doorsteps just in time. 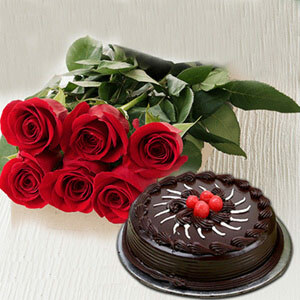 I found this product really expemsive..But the cake was delicious.